We took our time exploring the Caiwarro ruins. Erin found an unfired rifle shell. Vaughan found several car parts - as well as his usual grasshoppers. (Erin had already spotted a newly moulted locust). 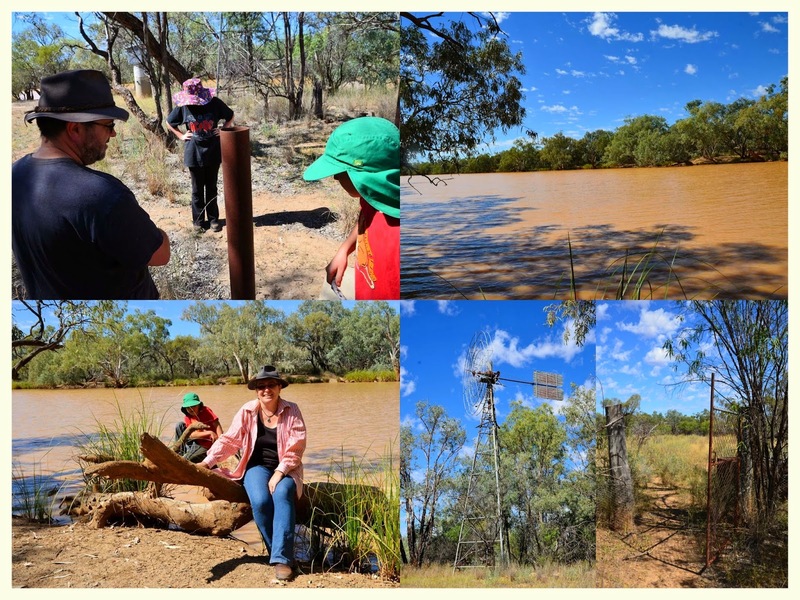 It took a while to round everyone up for a short drive to the Corni Paroo Waterhole. 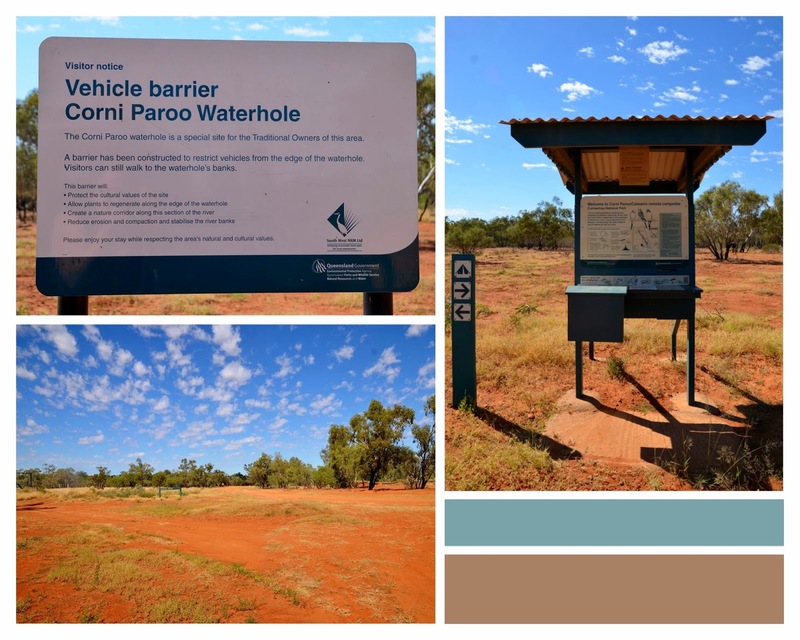 (I'm not sure what "corni" means but the waterhole is fed by the Paroo River). There was a reference on the information stand map to a "Chinese garden". I said I would like to see it, knowing it would be a historical site. It seems Erin was expecting something more like the Chinese Garden of Friendship at Darling Harbour. She was obviously disappointed, though Nick and I were highly amused! Poor Erin would have been bitterly disappointed!